Found one file extension association related to xLine and 1 file format developed specifically for use with xLine. 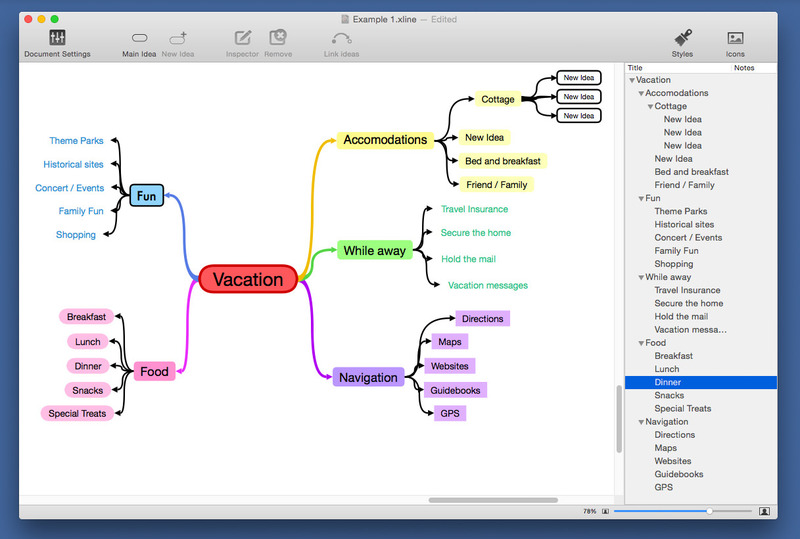 xLine is the easiest mind-mapping app, the best way of brainstorming. It's perfect for idea collection and thought structuring. It allows you to visually organize your thoughts or ideas. A mind map is considered a great way to brainstorm and generate more ideas. It helps you create a number of small ideas from one big idea, to see how different ideas could be connected, and to create a plan of action. Visualize your plan of action and carry out those strategies with your team. xLine is your ideal partner for brainstorming new ideas which can be brought to life on mind maps that resemble the informational structure of your brain using text, shapes, and images. Mind mapping allows you to concentrated on the core ideas, reducing time spent and increasing productivity. xLine is the main partner of your brain! It features a very clean and simple design based on more than 10 years of experience in application development. If you need more information please contact the developers of xLine (ADNX Software), or check out their product website.